The iAwards are in their 25th year of promoting excellence in the Australian digital ecosystem, throughout those 25 years they have become Australia’s longest running and and most broadly scoped innovation recognition program.The iAwards unearth, recognise and reward exceptional Australian innovation that is making a difference and has the potential to create positive change for the community – whether this is at home, in the office or on a global scale. Held of the 18th of May at the National Portrait Gallery of Australia, the iAwards were an exceptional opportunity to see innovation first hand, and meet and network with those responsible. 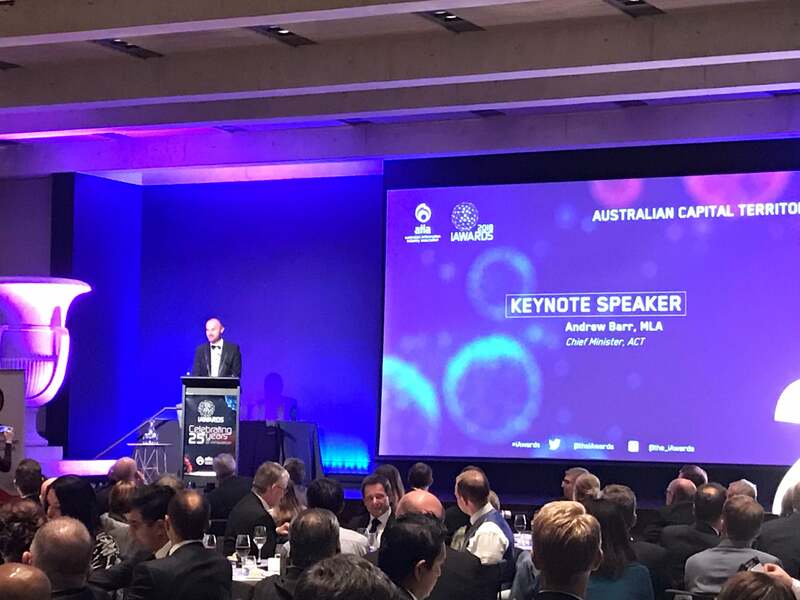 The night included an address from special guest Andrew Barr, ACT Chief Minister, who informed us that the ACT is the fastest growing territory in all of Australia. He explained that he wanted to continue to support innovation throughout the ACT. The night’s keynote came from the inspiring Mikaela Jade, CEO & Founder of Indigital, who spoke about designing InDigital from the heart. Mikaela has spent the last few years living in Kakadu and using drones, 4D mapping, cultural law and image recognition to develop new ways to digitize and translate knowledge, culture and cultural sites through augmented reality. The Indigitial application also also works without the internet, which is an exceptional feature. 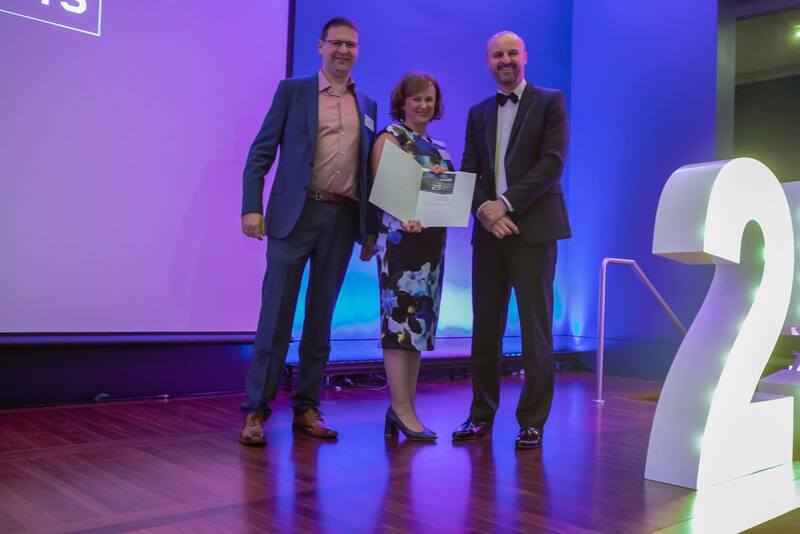 Cogito Group were proudly awarded a certificate of merit in the ACT Business Service Markets category. Congratulations to REDengine for winning taking home the Business Service Markets award. 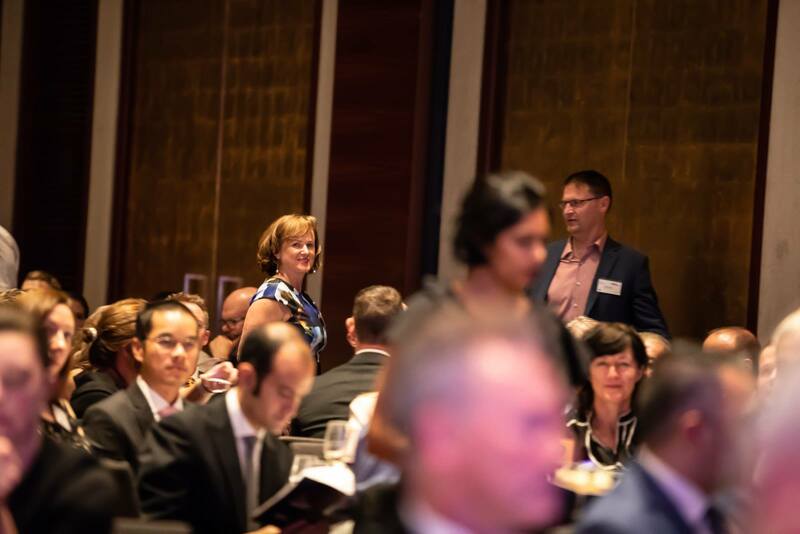 iAwards Winners and merit recipients go on to represent their State or Territory at the National iAwards, held in August 2018 in Melbourne. Thank you to Australian Information Industry Association for driving this innovative program. Congratulations to all of the winners on the night, including Altocrypt by Penten, Vault Systems, Data61 and many more. 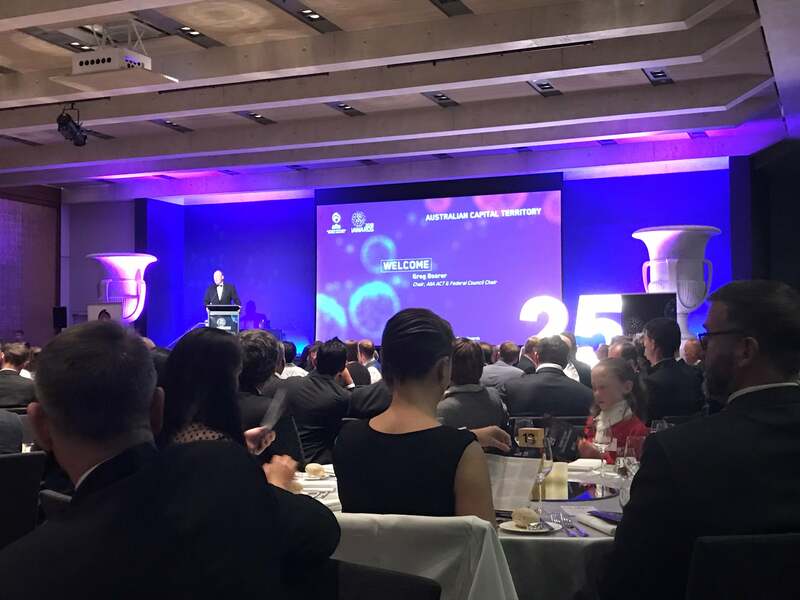 It was a privilege to celebrate 25 years of Australian innovation with such bright minds.